I can highly recommend this book for everyone, who wants to take the OCEB 2 Fundamental exam. I studied from this book and passed with good result. It is also very good for people who want to achieve usefull knowledge of modeling in BPMN. 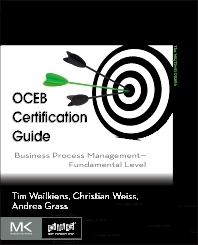 useful but can not be the only book for OCEB certification!